Michael Gaddis, J.D. Real Estate Attorney, Broker, and short sale expert has years of experience helping clients buy, sell and save their homes. Michael recognizes that the advent of the Internet has revolutionized the real estate industry. Instead of insisting on continuing the archaic marketing tactics utilized by many real estate agents, Michael has embraced the change and incorporated sophisticated Internet and social media based marketing tools into his Platinum Home Marketing Plan. Michael Gaddis’ experience as a real estate broker, attorney and NMLS licensed loan broker allows Michael to provide each of his clients with the marketing expertize of a Realtor/Broker, the negotiation and contract abilities of an attorney and the finance knowledge of a mortgage broker. Michael’s experience and knowledge are rarely paralleled in the real estate industry. Michael Gaddis provides an added benefit to homeowners with more complex real estate transactions. Homeowners with real estate transactions involving divorce, probate or reverse mortgages should definitely consider Michael Gaddis when selecting a real estate professional. There simply is no comparison to what Michael Gaddis brings to the table. Michael Gaddis operates three companies. The Law Offices of Michael Gaddis specializes in real estate loss mitigation matters such as California Loan Modifications. Michael Gaddis, J.D. Realty Group is a full service real estate company specializing in the marketing of Luxury Homes. Michael Gaddis, J.D. Realty Group also specialize in assisting homeowners with Short Sale transactions. When needing a short sale, there simply is no better choice than Michael Gaddis. Last but not least, is Frontier Loan Group, Inc.. Frontier Loan Group, Inc. provides homeowners with financing for purchasing a home or refinancing. Frontier Loan Group, Inc. specializes in reverse mortgages. 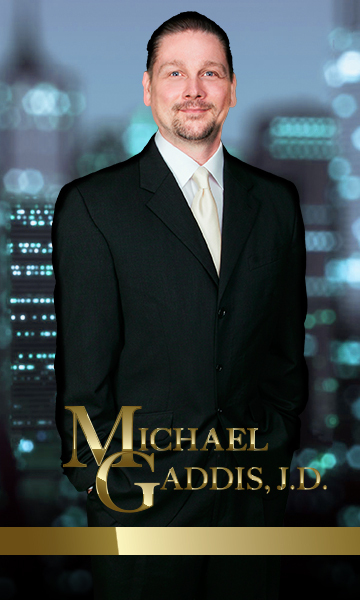 Michael Gaddis provides valuable information and insight in a wide variety of real estate related matters. By sharing information through his blogs Michael Gaddis hopes to help educate homeowners about all things real estate.